Crank trigger bracket for use with 8-inch Chevy trigger wheel. We feel proud to introduce ourselves as a reliable organization, engrossed in manufacturing and supplying the broad assortment of Servo Motor Bracket. We are engaged in offering DiCylinder Mounting Bracket for the purpose of pipe transfers in varied industries. We ensure its quality and efficiency by manufacturing using quality raw material that are sourced from our trusted vendors. For L type pump configurations , (e.g. PVR50-L-F-13-LAA-3180), the pump is supplied assembled with the mounting bracket. 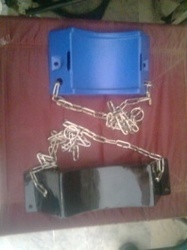 These brackets are also available separately. 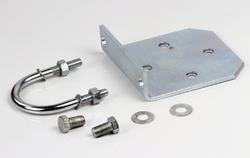 Mounting brackets are available for all the ranges of PVR/PV2R and PVM series vane pumps and A/AR series piston pumps. With our expertise and trustworthiness, we are engaged in offering an optimum quality range of Lock Pole Mount Bracket. cast iron small mounting bracket with pan&tilt metal mount. Desingned for indoor industrial installation. Max. Load 2 kg. The steel angle L-Bracket is a versatile and useful bracket for numerous connecting, hanging and retaining applications. The L bracket is useful for hanging shelves, mounting of electrical components, useful as a construction bracket.